Two superstars, one unforgettable concert. Don’t miss the magic when these longtime Celebrity Series favorites come together for a rare duo appearance. Runtime: Approximately 100 minutes with intermission. This performance is not eligible for group discounts. Mozart composed his first sonata with violin in 1762, at the age of six; he went on to write some three-dozen sonatas, the last appearing in 1788. He composed the Sonata in D Major (K.306) in 1778 while he was in Paris looking for work, rounding out a set of six sonatas that he published there as his Opus 1. In this sonata for piano and violin, Mozart was catering to the tastes of amateurs who purchased and played such chamber music at home. We tend to think of this instrumental combination today as violin accompanied by piano, but the expectation in Mozart’s day was the reverse: the keyboard carried most of the musical responsibility, with the violin contributing in ways that wouldn’t derail the whole piece if the part were entrusted to a less secure player. As a case in point, the sonata’s main theme first appears in the piano’s right hand, with the violin playing a simplified version of the left hand’s accompaniment. 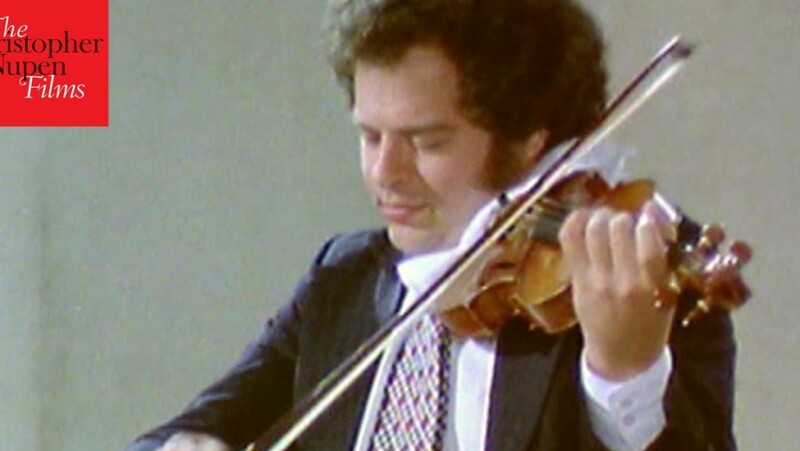 Chafing against the tradition that considered such a part an optional supplement, the violin steps into the foreground for the contrasting theme, and even its background figures in other sections are independent and melodically satisfying, a hallmark of Mozart’s brilliant part-writing that made every layer of music shine in its own right. The central movement is a singing Andante (or Andantino in some sources), a specimen of slow movement that allowed Mozart, always an opera composer at heart, to invest his instrumental parts with maximal lyricism. This sonata, the only one of the six composed in three movements, ends with a nimble Allegretto. 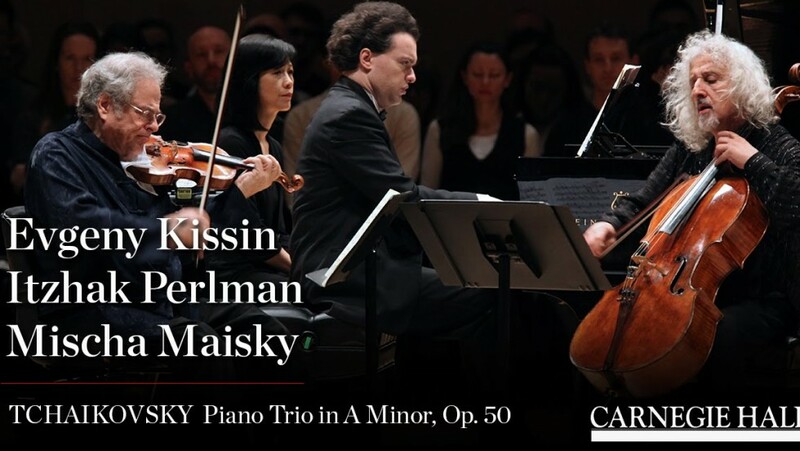 With its collisions of conflicting rhythms and surprising metric shifts, the finale demands equal verve and self-assurance from both players, guiding the way for Beethoven and Brahms who carried forward Mozart’s emerging model of an uncompromising, egalitarian sonata for violin and piano. Were it not for Brahms, the rich flow of chamber music from Germany and Austria might have run dry. Few composers of the 1850s were interested in those formal models perfected by Mozart, Beethoven, Schubert, and Mendelssohn, but Brahms was encouraged in that direction by his mentor, Robert Schumann. The earliest surviving chamber music by Brahms actually stemmed from his first encounter with Schumann in 1853, when they each composed a sonata movement for their mutual friend, the violinist Joseph Joachim. Brahms hit his stride with chamber music in the early 1860s, but he did not return to the format of violin and piano until 1878, when he finally took up the first of his three violin sonatas. Brahms wrote his Second Sonata for violin and piano in the summer of 1886, a period ripe with chamber music activity. Works from this time, including the Second Cello Sonata and the Third Violin Sonata (started then but finished two years later), show Brahms testing a particularly efficient and stripped-down approach to structure, akin to radical clarity of Beethoven’s middle period. Whether intentional or not, the defining theme of Brahms’ first movement starts with three notes penned by his ideological opposite, Richard Wagner, from the beginning of Walther’s prize-winning song in Der Meistersinger. Halting repetitions and transformations examine this gesture from all angles, while the contrasting theme—itself a quotation, from a song Brahms wrote that same summer—counters with cresting waves of fluid melody. The middle movement uses an ingenious pattern of alternations to squeeze the functions of a slow movement and a scherzo into one hybrid form. More self-quotations from songs pepper the graceful and understated finale, in a tempo that Brahms wanted slow enough to be almost at a walking pace (quasi Andante). Much of the violin part stays low in the instrument’s rich contralto range, keeping the decorative filigree to a minimum and waiting until the end to unleash the expressive impact of sustained double-stops. Beethoven wrote his Ninth Sonata for violin and piano early in 1803, just before he began work on the monumental Third Symphony (“Eroica”). 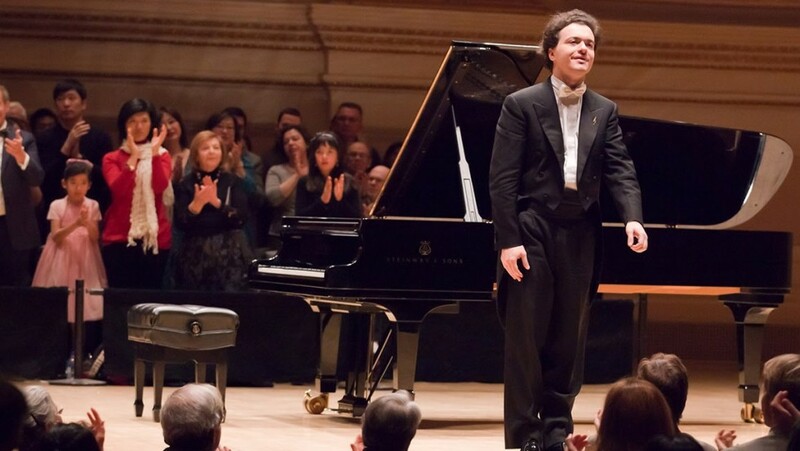 Abandoning the careful proportions and pleasantries of early works modeled after Mozart and Haydn, Beethoven’s blunt and expansive new style—what we now call his “middle period”—heralded a bold leap forward for the increasingly deaf and fiercely independent young composer. This sonata embraces extremes from the outset, staying in its home key for only four measures of unaccompanied violin before the slow introduction veers to a minor key. Normally the tonal tension would resolve with the arrival of the fast body of the movement—in this case, an extremely fast presto tempo—but instead the instability continues, the two sections unified by the obsessive gesture of a rising half-step from E to F. Even the presto flow is kept unpredictable, peppered with brief passages that pull back to a slow tempo, recalling the introduction. The consoling second theme does eventually reach the key of A major in the closing recapitulation, but ultimately a coda delivers this fiery first movement back to the crucible of A minor. In one of Beethoven’s brilliant touches on interconnection, the theme of the slow movement enters with the note F falling a half-step to E, the reverse of the previous movement’s anxious motto. Instead of just decorating the tune, the ensuing variations explore imaginative textures, the sheet music blackened by an uncommon density of notes for both partners. For the finale, Beethoven used another Presto movement that he had written and discarded a year earlier while working on a different sonata. The bouncing theme recalls the hunt-inspired momentum of Haydn’s finales, but like everything else in this new phase for Beethoven, the intensity is amplified. “The Kreutzer Sonata”—the work itself and the name—took on new significance when Leo Tolstoy gave that title to an 1889 novella. It tells the story of a disaffected wife and pianist who, swept up by the passion of Beethoven’s sonata, has an affair with the male violinist with whom she plays the work, only to be caught and murdered by her husband. International censorship and outrage put The Kreutzer Sonata into the center of public debate, and a host of artists followed with plays, paintings, and other creations inspired by Tolstoy’s scenario. The name even came full circle to music when Janáček dubbed his first string quartet The Kreutzer Sonata.